I had so much fun designing this quilt for the book -- definitely one of my favorites to date! My pattern, along with the other nine contributing authors, was inspired by historic Kansas City Star quilt blocks. We were given a fun challenge to reinterpret these historic blocks with a modern aesthetic. For me, it was important to honor the history of the original block while changing it enough to make it feel fresh and new. How much do you change? Well, that is up to each quilter! I find that one or two small changes can make a big impact. Blaze was inspired by the Star of Bethlehem block. We were given several blocks to choose from and I was drawn to this one immediately. I had several ideas on how to change it up within minutes of deciding on this block. Whenever I have too many ideas (which can sometimes be a problem) I write down theme words to help me focus on a direction. For Blaze I wrote down, graphic, colorful and playful. This is the stack of fabrics I started with. A mix of light monochromatic prints for the scrappy background and bold solids for the star points. The center of the blocks were exaggerated and made really graphic by using a dark center. Varying the angles of the star points makes them twinkly and fun. This giveaway is now closed. Congratulations to the winner, Becca from Bryan House Quilts. Kansas City Star is giving away a copy of the book to one of my readers. To enter, please leave one comment on this blog post. Winners will be contacted via email so make sure you include yours. International entries are welcome. Giveaway ends Wednesday, November 27th. Good luck everyone!! The blog tour is continuing through November 22nd with quilts, photos and giveaways at each stop. I think most of the giveaways are still open. I highly recommend starting at the beginning of the list and working your way down for maximum giveaway entries! Here is the schedule and links to each blog on the tour. 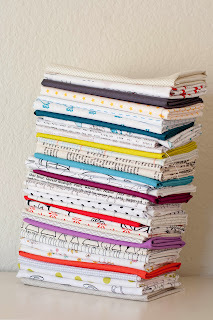 Tammy of Marmalade Fabrics has put together custom fabric bundles based on my quilt. Visit her online shop for more details. Tomorrow's stop is Trisch Price at Hadley Street Quilts. You won't believe what she did with the Air-Ship Propeller block!!! Just love your quilt - what an amazing design and choice of fabrics. I really like the colors you have chosen, and the block is a great one too. Thank you for a chance to win this awesome book! Your quilt is fantastic! It's great to learn about your design process. Thanks for the chance to win this amazing book. Lovely quilt - thanks for sharing. Love your quilt! This looks like a great book, thanks for the chance to win! This is a great quilt and if it is any indication of the book I may just need a copy! Love your quilt. Looks like a fantastic book! What a fabulous quilt - I love your colours! Looks like a wonderful book...love your quilt! Love the block and the quilt! I really love your modern take on the block. Thanks for the giveaway. 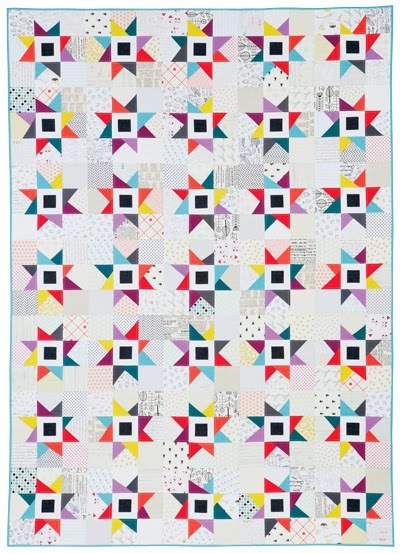 Twinkly stars in solids are perfect - I can see this would be a perfect bed quilt!! What a fun variation on a traditional block! Great work! Love the quilt! Stars are my favorite things to piece! What a wonderful quilt! I love the scrappy conversation print background and the way you varied the angle on your stars. It truly does make your eyes keep moving around the quilt. Love the quilt!!! Great choice on fabrics. Love the fabrics in the quilt. Congratulations is being published. I love everything I see about this book. Your interpretation is beautiful! I love your quilt, especially the contrast between the 'low contrast' and 'high contrast'. Thank you. Beautiful quilt!! Thanks for a chance to win! Pretty! I love the color choices. Love the bright and airy look of your quilt. Thanks for the opportunity to win! I love the movement in the wonky stars. Love your design and fabric choices! Yum! Love the way your varied background fabrics set off the stars! love it! that must have been such a fun challenge. This is such an unusual combination of fabrics - very inspirational. Thanks for the chance to win! Love your fabric choices. I think I need this book. I love that hanger fabric and I've never seen it before. How did I miss that? I love your design, the solids just pop right up at you!!! Love this quilt- just the right mix of modern/traditional! The block is beautiful! Can't wait to get my own copy of the book. Lovely quilt! Thanks for a chance at the giveaway! This book looks like so much fun. Thanks for the giveaway. 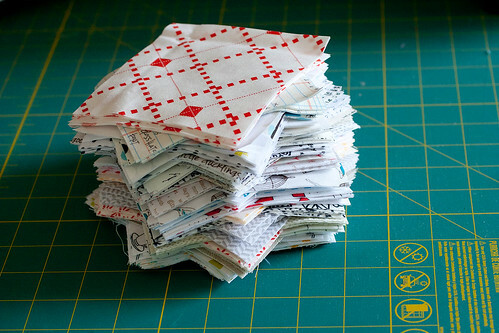 Such a beautiful stack of fabric, and your neatly cut pile of squares. Thanks for the opportunity to win the book! Thanks for the insight into your design process. That always fascinates me, and I've learned a lot that way. Love the clothes hanger fabric, by the way!! I love the idea of taking traditional blocks and making them modern. I think it was super smart to start with theme words to help focus on a direction. Bravo you! Gorgeous quilt! I need to try a more modern twist to my quilts esp as my children marry; their wives are of the newer generation :) This looks like a good in-between ease into it book. Thanks. Love your take on this block - so vibrant and fun! Thanks for the chance to win a copy of the book. I love how you mixed up the color orientation around the stars, it turned out so lovely! While I love the scrappiness of your quilt design, I was drawn to all the different fabric designs. Those hangars just really pulled me in. Wow I love this star!! You can never go wrong with stars! I've been collecting red, white and blue nautical-themed fabrics for a while but haven't known what I want to do with them. I think I'm going to look for some nice solids to coordinate and use this pattern. Thanks so much! Your quilt looks great! Excellent color choices! Congrats on your book - love the quilt! I love stars, they get me every time! I love the light colors! Your idea about theme words is really helpful. Love your quilt too! Awesome stars quilt and Lovel fabric choice ! Your quilt is so pretty and colorful. I love your quilt...so crisp and cheerful! What an amazing quilt and the fabrics are stunning! I love your use of color for the stars and a light background. It makes the stars bright and playful. I love your bright colored stars. I always make exaggerated points on my stars...makes everything more interesting. Thanks for the chance. 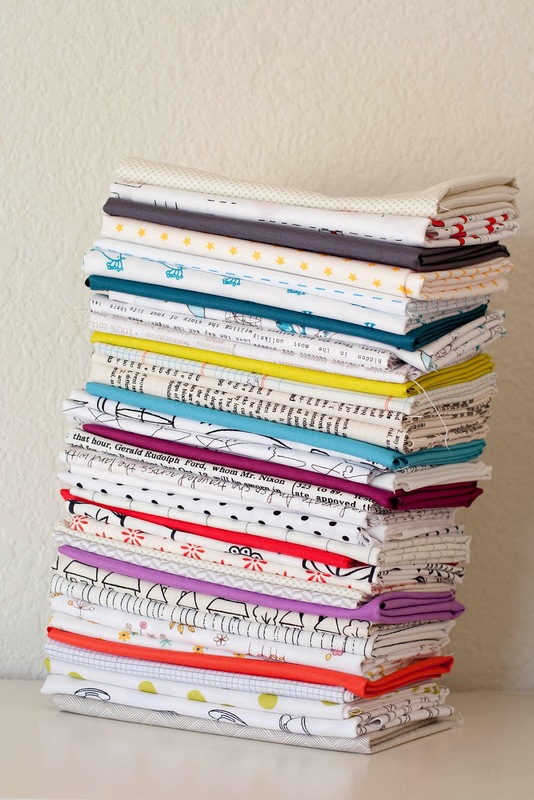 I love the image of your stack of fabrics. It makes me want to get to work on a new quilt. Love your quilt!! The stars really do twinkle and I really love the way you did the points!!! One of the things that stood out for me about your quilt pattern was the wonkiness of the stars and keeping them loose instead of all the same. I like the fact that you have symmetry with your squares, but each one is a little different and your use of light printed fabrics/blenders is inspiring! Congrats on the book. I really love the low volume as background. Love your quilt and would really like the book. Nice looking quilt, striking block! Great block and quilt! I like the way you used solids for the star points and varied the background. I love the varied background in your quilt - it's a beauty! Pick me, pick me! Have gotten this book from my library. I would love my own copy! Awesome quilt and a very interesting book. Love the colors you've chosen for this quilt! I love your quilt! I am really enjoying this blog tour! I love this star and how you make your stars shine! I love every quilt I see from this book! Including yours! Thank you for the peek inside, and the giveaway! Your quilt is wonderful. I would love to make one too! I love your quilt!! So pretty. Beautiful quilt, love what you have done with this block. Oh, I'd love to win this book! I'm an older quilter but I've been reading modern quilter's blogs lately and am starting to incorporate a more modern look to my quilts. Love your quilt! Great choice of fabrics as well. I love all star blocks and I'd love to try yours. Thanks for sharing, awesome job! Loving your quilt and choice of fabrics. Thanks for sharing your incredible talent with us. 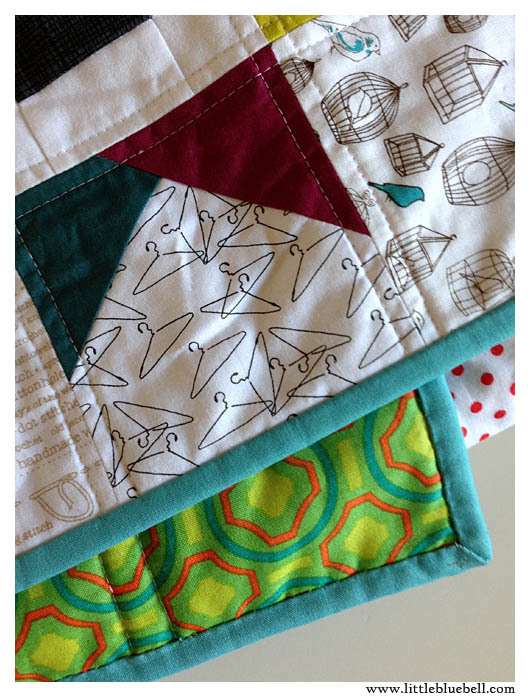 I (somehow) hadn't read your post yet and was reading today on Diary of a Quilter and thought "Oh, I like that Blaze One" and then I saw it was yours!!! Love it! And congrats! Your Blaze quilt is my favorite. So bright and cheerful. Makes me want to try flying geese again!! love all the fabrics in your quilt, nice job. Thanks for the giveaway. Love the quilt, colors just pop, thanks for the giveaway! I love, love your quilt! I am looking forward for the chance to win a copy, if not it will go on my xmas list. I love your quilt , never can you have too many fabrics in a quilt. I would love to have the book. Happy Thanksgiving to you and yours Adrianne! I love your choice of low volume fabric for the background. It really makes the stars pop! Looking forward to learning More. Thanks! I really like your choices of fabric. The quilt you made is beautiful. Happy Thanksgiving. Your quilt makes me happy just looking at it. Blaze looks fabulous! Thanks for a chance! Love thuis block too, thanks for the chance.